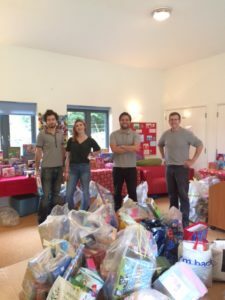 On Wednesday 31st October our East Surrey centre held their annual Toy Choosing Day. Each year parents are invited along to choose gifts to give to their children and family for Christmas. 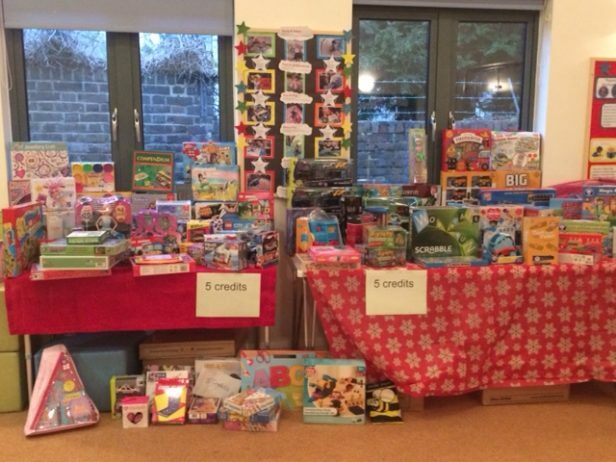 The toys and gifts are very kindly donated to us by local schools and churches and the event gives families we work with the opportunity to choose the right gifts for them. The day was structured into several different time slots with different families invited to each to avoid lengthy waiting times and to give everyone a better choosing experience. 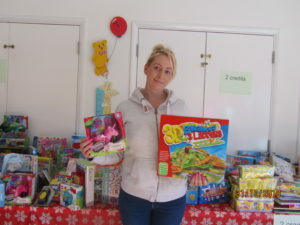 We had volunteers and staff on hand throughout the day so that every family had someone with them in the playroom while they were choosing toys. It was such a great day – the whole playroom was full to bursting with toys with them piled up under the tablecloths too, so that we could bring more out during the day so the tables never look depleted, but the camera just can’t capture the scale of it! 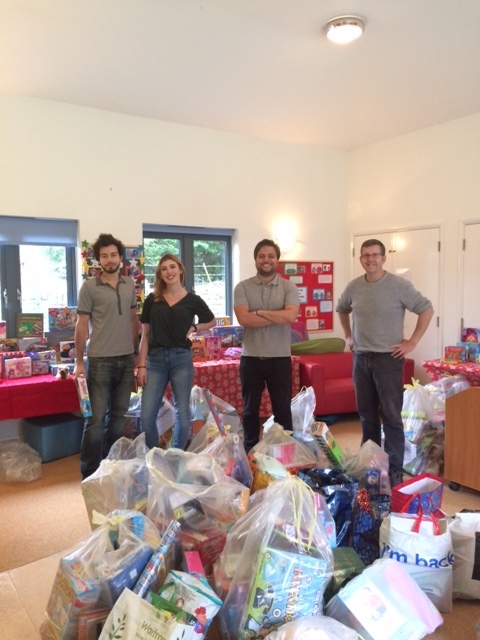 We had 4 Willis Towers Watson volunteers in on the afternoon before (first pic) to bring the bags of toys down from the loft and set them up around the room. 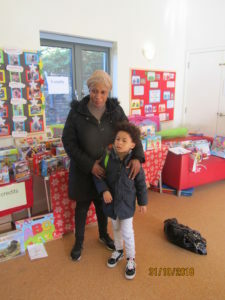 Overall we had 7 volunteers helping and 37 families attended, supporting 52 associated children.